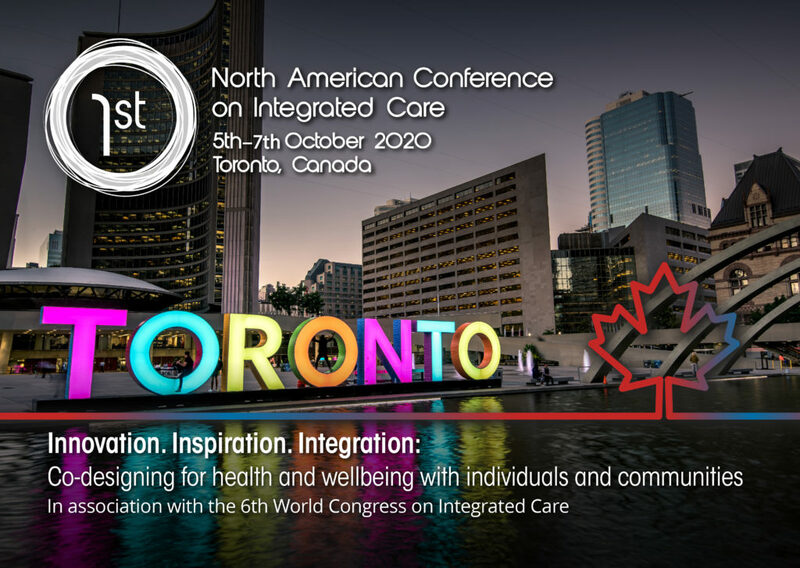 We are very pleased that the 1st North American Conference on Integrated Care in association with the 6th World Congress on Integrated Care will take place in Toronto, Canada, from 5 – 7 October 2020 . With the overarching theme ‘Co-designing for health and wellbeing with individuals and communities’, the conference is a partnership of University of Toronto, KPMG Canada, The Change Foundation, HSPRN and iCOACH. The conference will bring together researchers, clinicians and managers from around the world who are engaged in the design and delivery of integrated health and social care. Maggie has worked as an international health consultant for more than 15 years. She joined IFIC in November 2017 to work on the EU’s SUSTAIN project to develop a roadmap for supporting older people in their homes. A trained nurse and former WHO technical consultant, Maggie is also currently studying for her PhD. She has worked as an international health consultant for more than 15 years, spending five years working for the WHO Regional Office for Europe with the Division of Health Systems and Public Health on its Human Resources for Health and the Health Services Delivery programmes. During this time she helped shape the understanding of how to advance and support competencies in the delivery of integrated care which was presented in Strengthening a competent health workforce for the provision of coordinated/integrated health services delivery. Other achievements include working on the 2014 European strategic directions for strengthening nursing and midwifery towards Health 2020 goals, the 2015 Implementation of the Tallinn Charter: Final report, Compendium on Good practices in strengthening health systems for the prevention and care of M/XDR-TB and editing the 2015 Eurohealth issue Priorities in health systems strengthening in the WHO European Region. As a nurse Maggie specialised in working with children and their families at the Hospital for Sick Children in Toronto, Canada. Through work with diverse cultures and socio-economic groups in both in-patient and out-patient settings, Maggie joined the Sickkids Global Child Health Programme as an educator and researcher. She also worked with the city’s homeless population as well as in Canada’s remote northern communities which helped develop her interest and expertise in the organisation and governance of the health workforce. During her career, Maggie has consulted in Croatia, United Kingdom, Ghana, Greece, Kazakhstan, Latvia, the Republic of Moldova and Uzbekistan. She has a particular interest in the role of different stakeholders in supporting a health workforce to deliver quality health services and introducing quality improvement mechanisms and is focusing on that area for her PhD at the Health Services Management Centre at the University of Birmingham. Jodeme Goldhar joined The Change Foundation in April 2017 as Executive Lead, Strategy and Innovation. In this role, she is responsible for facilitating the strategic focus, creating and convening opportunities for collaborators to come together around common goals, and building more international relationships to add to these collaborations. Jodeme is also responsible for examining opportunities beyond The Change Foundation’s current priorities to inform policy and practice in Ontario. Jodeme’s passion is convening opportunities for those in health and social systems to work together around common goals to realize the potential for transformative improvement. The Change Foundation serves as a catalyst to support large scale transformative change and ensures change opportunities are co-designed with patients, their families and providers. As health systems pursue better integration, Jodeme believes that we need to work in new ways, with new power structures, to bring out the best in individuals, teams, communities and systems. 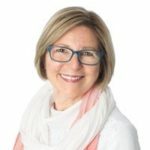 Jodeme brings over 20 years of experience in the Ontario health care and health policy sector and is an adjunct lecturer and co-instructor at the University of Toronto’s Institute for Health Policy, Management and Evaluation. Previously, Jodeme was the Chief Strategy Officer and Lead, Health System Integration for Complex Populations and Primary Care, at Toronto Central Community Care Access Centre. In those roles, Jodeme worked locally and internationally with government, organizations and providers across the health system, clients and families. She has also acted as principal and co-principal investigator on a number of research initiatives to inform policy and practice in Ontario. Jodeme serves as a Fellow of the Horizons team, a Senior Associate for The International Foundation for Integrated Care, an Executive Coach and is in process of obtaining her Executive Scholar certificate at the Center for Nonprofit Management, Kellogg School of Management at Northwestern University USA. Cathy Fooks joined The Change Foundation as President and Chief Executive Officer in January 2007, bringing with her proven leadership skills at a national level and more than 20 years experience in health policy research. Ms. Fooks took on the task of working with the Board of Directors to implement its ambitious strategic plan and transform the Foundation from a granting agency into a respected health policy think tank focused on health integration and patient outcomes. Prior to her position at the Foundation, Cathy was the first Executive Director of the Health Council of Canada where she was responsible for implementing the Council’s mandate of reporting to Canadians about health-care renewal. Ms. Fooks has also served as the Director of the Health Network with the Canadian Policy Research Networks, and in senior roles with the College of Physicians and Surgeons of Ontario, the Institute of Clinical Evaluative Sciences (ICES), the Premier’s Council of Health, Well-Being and Social Justice, and the Premier’s Council on Economic Renewal. She was a senior policy advisor to two Ministers of Health and has served on a number of government health-care committees. The author of numerous articles and reports on the Canadian health system, Ms. Fooks holds a masters degree in political science from Queen’s University and an undergraduate degree in political science and economics from Trent University. She has also completed an Executive Program in Change Management at the Rotman School of Management, University of Toronto. In 2010, she also completed the Executive Program in Strategic Perspectives in Nonprofit Management at the Harvard Business School. Emmeline Roodenburg is a Director in the KPMG’s Canada Management Consultancy practice with over 15 years of professional experience. At the age of 23 she finished her masters in both Law and Economics after which she started her career in Finance. She joined KPMG Amsterdam in 2011 and moved to the New York City office in 2013 to focus on large health system redesign. With her move to Toronto, she brings her international relevant experience, specifically given her role as Director in New York State’s 5 year, $8 billion health transformation program DSRIP (Delivery System Reform Incentive Payment program). 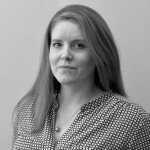 Emmeline has led numerous engagements for clients in the United States, Canada and in Europe in the health care and life sciences arenas with a prime focus on reshaping care delivery models and integrating care. Her in depth knowledge and hands on experience with all sides of the healthcare sector enable her to generate solutions at the system level in a manner that takes into account the various incentives that affect each of the players. Adalsteinn (Steini) Brown is the Dean of the Dalla Lana School of Public Health at the University of Toronto. Past roles include Director of U of T’s Institute of Health Policy, Management and Evaluation and senior leadership roles in policy and strategy within the Ontario Government, founding roles in start-up companies, and extensive work on performance measurement. 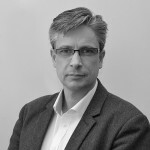 Walter Wodchis, PhD, is Professor at the Institute of Health Policy, Management and Evaluation at the University of Toronto and Research Chair in Implementation and Evaluation Science at the Institute for Better Health, Trillium Health Partners. His main research interests are health economics and financing and health care policy evaluation. 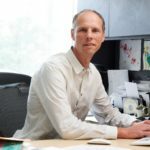 Through his research programs which include more than 30 collaborating researchers and as many trainees, Dr. Wodchis has lead several studies examining complex needs of high cost patient groups, the implementation of integrated care programs to address those needs, and evaluations for a number of integrated care programs in Ontario. Yinka Macaulay joined The Change Foundation in February 2018 as Senior Program Associate, Strategy and Innovation. In this role she leads and supports the implementation of key strategic priorities and collaborative planning with partners. Prior to joining the Foundation, Yinka was a Consultant at the Toronto Central LHIN, and held roles within the areas of Strategy and Planning, Primary Care and Health System Integration, Design and Development. Within this capacity Yinka has contributed to strategic priorities that advanced integration of care for patients with complex needs, the adoption of population health approach and health equity. Yinka holds a Master of Public Health from the University of Waterloo, a Bachelor of Arts (Hons) in Kinesiology from the University of Western Ontario, and a post-Graduate Certificate in Regulatory Affairs from Humber College. Yinka is also currently completing a certificate in Community Engagement, Leadership and Development from Ryerson University. G. Ross Baker, PH.D. is a professor in the Institute of Health Policy, Management and Evaluation at the University of Toronto and Program Lead in Quality Improvement and Patient Safety. Ross is co-lead for IDEAS (Improving and Driving Excellence Across Sectors), a large quality improvement-training program in Ontario. Ross’ recent research projects include an edited book of case studies on patient engagement strategies, a demonstration project that assesses an innovative approach to monitoring and measuring patient safety, and an analysis of inter-professional team dynamics in quality improvement. Ross led a team that published a book of case studies in 2008 on High Performing Health Care Systems: Quality by Design. In 2015 he published an update on this analysis on key elements of a high performing healthcare systems in a paper commissioned by the Ontario Hospital Association. This analysis provided a framework for the recent OHA Strategic Plan. Ross currently serves as Chair of the Safety and Quality Committee and board member of the University Health Network (Toronto), a member of the Saskatchewan Health Quality Council board, board and on the advisory board for Closing the Gap Healthcare. Carole Ann Alloway is a retired Human Resources Manager, mother of four and grandmother of seven. Carole Ann became a full-time caregiver for her husband, Bill, who had ten difficult operations within a 7-year period. In addition, Bill’s gastro issues worsened, and he developed congestive heart failure. She has witnessed first-hand the gaps in the health care and home care systems. Together with Sara Shearkhani, another caregiver, they have co-founded Family Caregivers Voice. Sara and Carole Ann receive invitations to speak at health conferences, hospitals, home care agencies, etc. to share their experiences while raising awareness of the importance of making the caregiver an integral part of the health care team. Both Sara and Carole Ann work closely with The Change Foundation, Health Quality Ontario, Ministry of Health and Long-Term Care and various hospitals and LHINs. Carole Ann recently won a Heroes in the Home award from Toronto Central LHIN. They were recently successful in acquiring a $3M grant with Bridgepoint Hospital and Woodgreen Community Centre from The Change Foundation to improve the caregiver experience from hospital to home and beyond. Carole Ann worked with The Change Foundation to transform her Caregiver Wish List into a video, so it can be used by other caregivers and health care agencies. 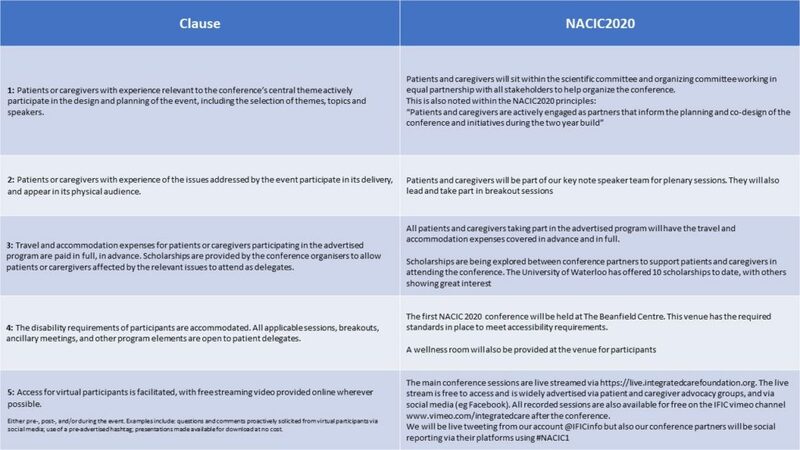 She recently co-designed and co-presented a keynote speech with Jodeme Goldhar from The Change Foundation at the International Conference for Integrated Care in the Netherlands. The Patients Included designation demonstrates that the North American Conference on Integrated Care is committed to incorporating the experience of patients and caregivers as experts while ensuring they are neither excluded nor exploited. How we are meeting the charter clauses?